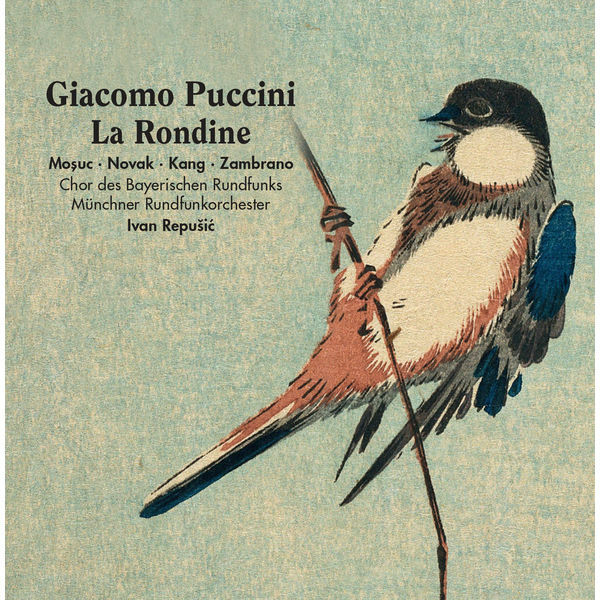 This Rondine is surely Puccini's least-well known opera, the victim of a misunderstanding early on: commissioned in 1912 by a Viennese theatre, people jumped to the conclusion that Puccini was writing an operetta, and discarding his normal canon. But upon closer inspection, although it is full of ternary rhythms, it is no operetta. Its language is absolutely the one we know from Puccini's other works, that lightness of style seen under the Second Empire in Paris and on the Côte d’Azur. It was in 1917, with the First World War dragging on, that the work finally débuted, in neutral Monte Carlo. Although it was hailed as a success, Puccini's work quickly fell into obscurity and was buried under a hail of successive operas: Il Trittico (Il Tabarro, Suor Angelica, Gianni Schicchi) and Turandot, the latter left unfinished by the composer.